A unique collection of 85 NF-κB signaling related small molecule compounds for high throughput screening (HTS) and high content screening (HCS). • Cancer Cell . 2015 Mar 9;27(3):409-25. • Gut . 2018 Nov;67(11):2035-2044. • Blood . 2015 Nov 12;126(20):2291-301. • Blood . 2015 Sep 10;126(11):1324-35. • ACS Nano . 2015 Dec 22;9(12):11800-11. • Nat Commun . 2018 Oct 24;9(1):4429. • Nat Commun . 2015 Jan 21;6:6074. • Proc Natl Acad Sci U S A . 2019 Feb 19;116(8):2996-3005. 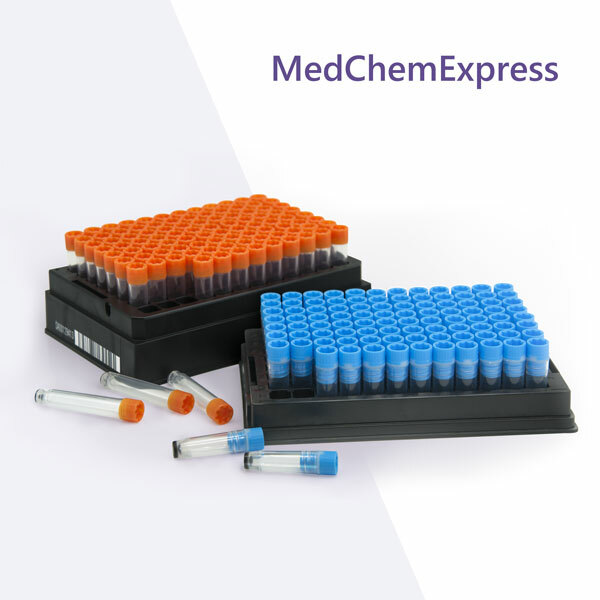 • A unique collection of 85 NF-κB signaling related small molecule compounds for high throughput screening (HTS) and high content screening (HCS). • Targets such as IKK, Keap1-Nrf2, NF-κB, etc. • A powerful tool for researching the mechanism behind cancer, drug screening based on NF-κB signaling pathway and other pharmaceutical and biological applications.